Why Visit Fort Myers and Sanibel? 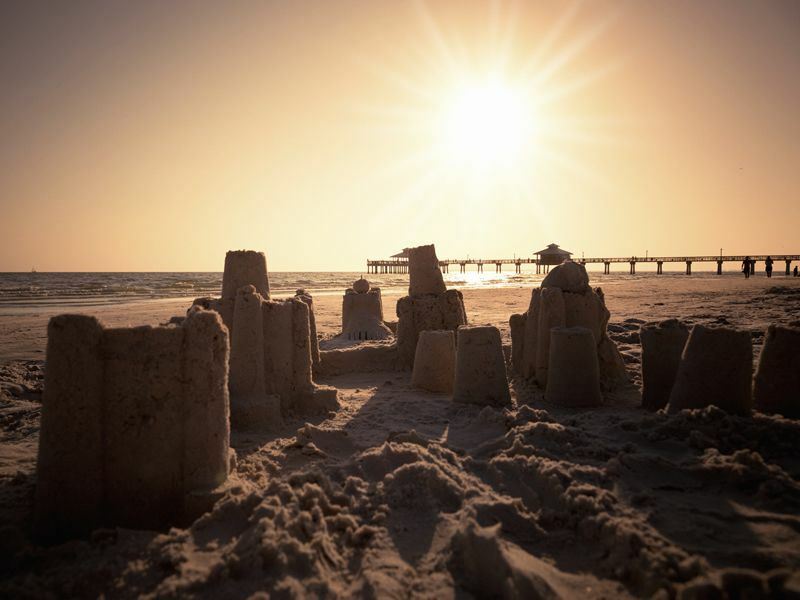 With a nickname like the “City of Palms,” how could Fort Myers, Florida be anything but a great destination for a beach holiday? A great place to start your trip to Fort Myers (other than at the beach or by the pool) is to take a drive along McGregor Boulevard. Lined on both sides by Royal Palm Trees and luxurious old estates, this street offers visitors a glimpse into historic Fort Myers. Notable among the estates are the winter homes of Thomas Edison and Henry Ford, called Seminole Lodge and The Mangoes, respectively. The Edison and Ford Estates are part historic home, part museum, and part botanical garden. Admission is around $20 with slight variances based on the tour you book, but it is definitely worth it. The gardens are home to 400 plant species from six continents, and have been restored to look, feel, and smell the way they would have in the early 1900s. Plus, you’ll learn about these men as inventors and if you visit around Christmas you’ll be treated to beautiful holiday lights and decorations. When you want to hit the beach, Fort Myers Beach is the most obvious choice with the Gulf of Mexico on one side, restaurants and resorts on the other, and stretch of white sand in the middle. For a less developed beach experience, however, you should visit Bunche Beach in San Carlos Bay, which is part of a 718-acre mangrove forest preserve. It offers the usual option of swimming and sunbathing, as well as the opportunity to kayak, canoe, hike, or even bird watch. Other attractions include Lakes Regional Park – a tranquil park great for walking, biking, or kayaking. You can also rent a paddleboat or ride the miniature train that winds its way around the park. Manatee Park is another small pleasant park in the heart of Fort Myers. The staff is well informed about these gentle animals and you’re likely to see a few if only from a distance. Another option for viewing manatees as well as dolphins and a variety of birds is to take a 3-hour kayaking tour with manatee guides. There are also ample opportunities for sailing, fishing, and other water sports in Fort Myers. If you run out of things to do in Fort Myers (which is unlikely! ), you can easily keep your holiday going by heading over the Causeway to Sanibel Island, a barrier island in the Gulf of Mexico known for its shell beaches and wildlife refuges. Fort Myers offers a plethora of food options to suit every palate. Tucked away behind a strip mall, Roadhouse Café is a favorite with locals thanks to great food, cocktails, and atmosphere. For fresh seafood on the beach, you should head to Smokin’ Oyster Brewery (S.O.B. ), which is known for its quick service. If you’re celebrating a special occasion, you’ll appreciate The Veranda’s romantic atmosphere and extensive wine list. Located in two historic buildings in downtown Fort Myers, this restaurant will wow you with its southern charm and garden seating area. Wisteria Tea Room and Café is a popular restaurant for brunch, a light lunch, or afternoon tea, and should not to be missed – just don’t forget to make reservations! Lastly, any visitor with a sweet tooth is sure to enjoy Love Boat Homemade Ice Cream. If you’ve come to Florida to relax and want to feel at home, consider staying in a Gulf Coast villa. They can accommodate up to a family of eight and provide visitors with the opportunity to enjoy personal space, not to mention a private pool. If you’re looking for luxury, you can’t go wrong with the Hyatt Regency Coconut Point Hotel. Beautiful gardens, tennis courts, a spa, a rock-climbing wall, a golf course, and multiple pools (including one with a corkscrew water slide) are just some of the amenities on offer. But it’s the short boardwalk that leads guests through a mangrove preserve from the resort to the marina that really makes this hotel stand out. For a room with a view of the Gulf, consider staying at Pink Shell Beach Resort or stay at The Outrigger Beach Resort for a budget option on Fort Myers Beach. To make your trip truly unique, stay at the South Seas Island Resort – a relaxing hideaway on Captiva Island.